Becoming an effective leader has always been a challenging task. Leaders are expected to initiate organizational strategies, inspire employees, and communicate well with the public. We also expect them to be energetic, at least somewhat charismatic, and capable of handling demanding situations. Dr. Michael Zey, Ph.D., renowned author and lecturer, explains how these challenging times require leaders to assume three additional roles, that of Mentor, Driver, and Seer. In this inspiring presentation, Dr. Zey shows your audience how everyone—managers, company heads, supervisors, and team members —can tap into their “inner leader,” mastering these new roles to “drive” their organizations to higher levels of performance. 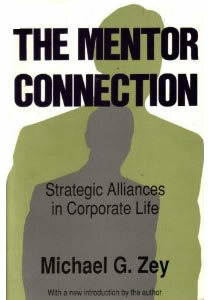 In his classic book, The Mentor Connection, Dr. Zey identified mentoring as one of the most positive forces in employee development. Mentoring has usually been considered a two-person relationship between the mentor and the protégé. However, Dr. Zey says 21st century leaders should play the role of mentor—a guide, teacher, and confidence-builder—to a staff, division, and organization. He shows your audience how they can cultivate effective mentoring habits and apply them to the entire organization. 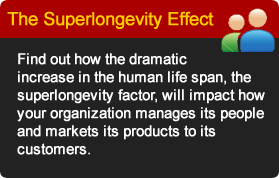 The successful leader must possess, and exhibit, the energy and strength to drive the organization toward its goals. The leader must use a host of skills such as influence, persuasion, and a “relationship” approach, to move the organization to higher levels of achievement. Most importantly, the Leader/Driver must be able to clearly communicate their organizational goals and vision. The new leader must not wait for the future to happen--he or she must actively anticipate it. 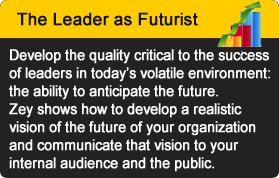 We always hear that effective leaders must have a “vision.” The leader/seer must always think in terms of the big picture, focusing outside the company’s sphere, and retaining constructive critics within his or her “inner circle.” To develop such a vision, Dr. Zey claims, the new leader needs what he labels Future Literacy® to more accurately anticipate critical future events. 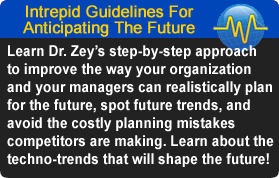 Zey helps your employees develop their Future Literacy®. In Leader, Mentor, Driver, Seer Dr. Zey will challenge your audience’s preconceptions about what a leader is, and will give them the framework to develop their “inner leader” to guide and drive the organization to new performance heights!